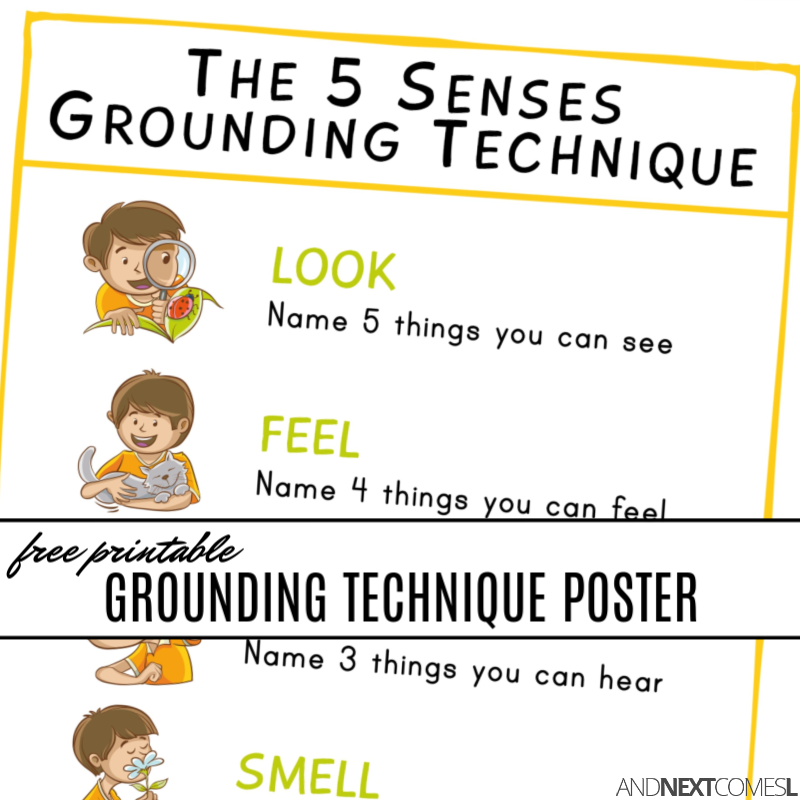 Free printable poster to teach kids the five senses grounding technique. A great calming strategies tool to put in your coping skills toolkit! I'm going to repeat this idea as many times as I can, but teaching your kids emotional self-regulation skills and coping strategies is so so so important. And if you have a child who loves to engage their senses to learn, then this five senses grounding technique is a wonderful tool. 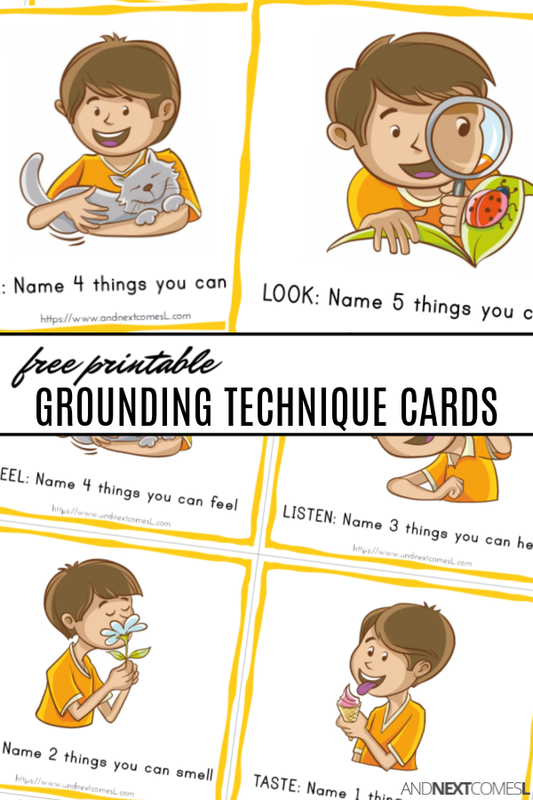 You may have already grabbed a copy of the free printable coping cards version of this grounding technique, but I decided to also make a poster version. 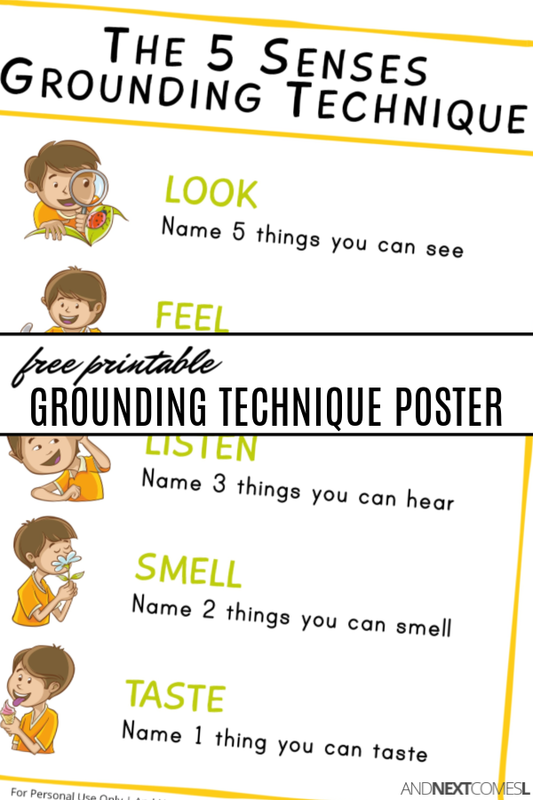 This free printable grounding technique poster would make a great addition to a classroom, office, or your child's calm down corner and the kids can reference it when they need help regulating their bodies. It makes a perfect compliment to the free coping cards version and would be a great thing to add to your child's calm down corner. To get your copy of the poster, simply click the link below. 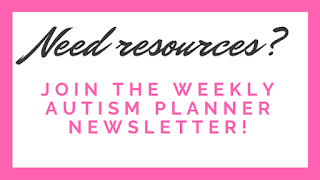 Whether you are explaining autism to a sibling or explaining autism to an autistic child, it's important to explain autism to a child in simple terms that are developmentally and age appropriate. These resources will help you explain autism to a child. "How do I explain autism to a child?" 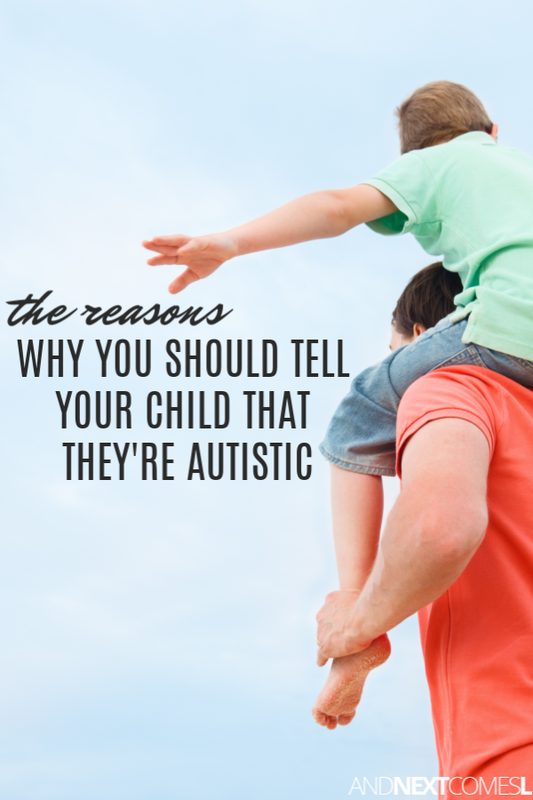 I know both of my sons have had lots of questions about autism over the years and we've always had an open dialogue about autism in our house. 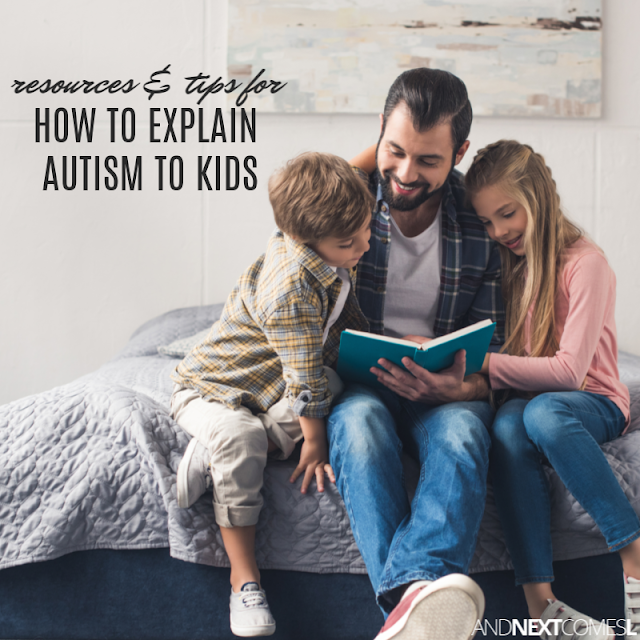 Below, I share some tips and resources for how to explain autism in simple terms so that you can be prepared to have these conversations in your own home or classroom. 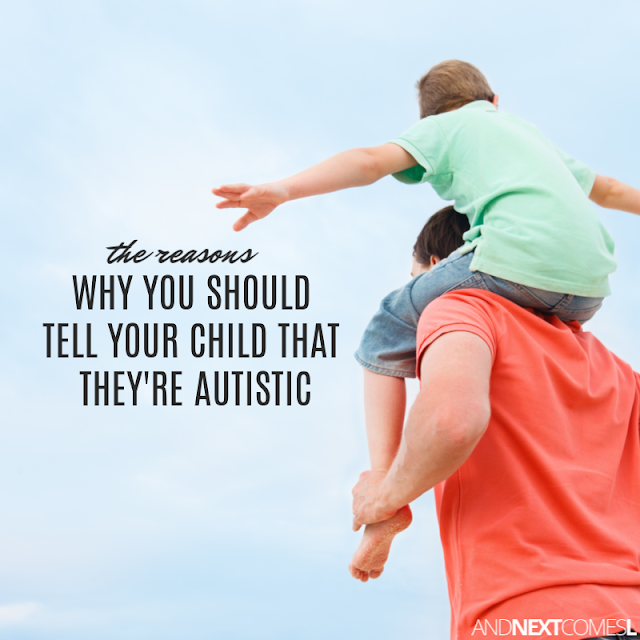 When it comes to introducing autism to your kids, there are a few things to keep in mind. These tips will help you explain autism in simple terms to kids. For even more ideas, I encourage you to read 5 Tips for Explaining Disabilities & Autism to Kids. One of the best ways to help kids understand autism is to read books to your children. 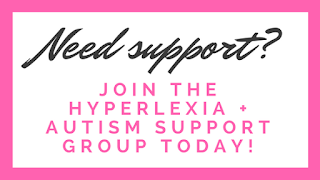 Look for books that talk about autism, feature autistic characters, and/or highlight how being different and unique is a good thing. Here are a few book lists to help you get started. 1. List of Awesome Autism Picture Books - My favorite selections. 2. 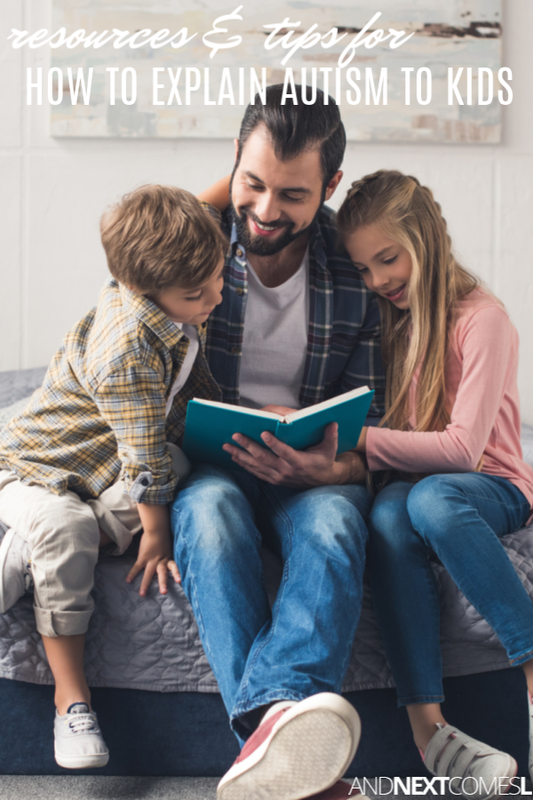 Books Featuring Autistic Characters - A few of the books on this list would be great for reading out loud in a classroom or at home, while some of the others are better suited for teens or older. 3. List of Problematic Autism Books - Not all autism books are created equal. Here are some of the autism books to avoid and why. The video "Amazing Things Happen" is by far the best video to help explain autism to a child (even adults too, really). It's a nice short video that's extremely information. It is also available in a variety of languages. You can see all the available translations here. There's even one in sign language! If you are wanting to explain autism to kids that are younger like under age five, then this video might be a better fit. It doesn't go too in depth about autism, but mentions a couple of useful tips that will help kids better understand how to interact with autistic children. It's not perfect, by any means (e.g., I wish it would say Julia is autistic vs has autism), but it is a good starting point for the younger crowd. The video "Marvelous Max" also does a pretty good job of explaining autism in an age-appropriate manner. It's a short video too. 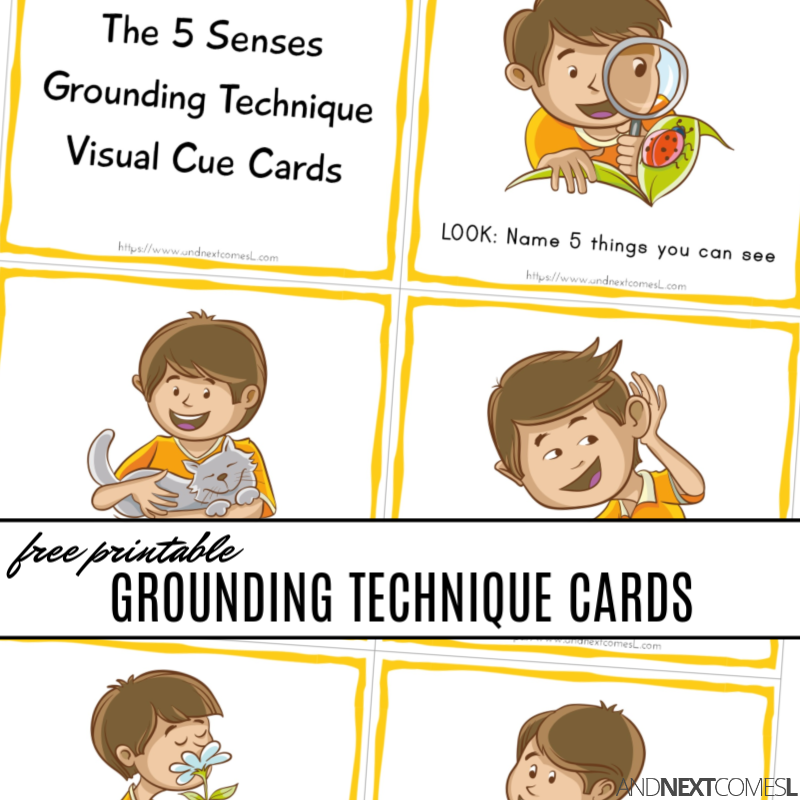 Free printable coping cards for kids to work on the five senses grounding technique. A great calming strategies tool to put in your coping skills toolkit! Teaching your child self-regulation skills is extremely important. In fact, I think it might be one of the most important things you can teach your child. Hence, why I spend a lot of time blogging about emotional regulation and calming strategies for kids. We already have tons of tools in my kids' calm down toolkit, but as my kids grow, so do their preferences and their needs. For my oldest, J, we are working more on how to manage his anxiety and worries and building his emotional vocabulary. He's more open to trying meditation and mindfulness techniques, whereas his younger brother, K, finds them "too boring" (his exact words). What works for one child, might not work for the other, which is why we try a lot of different coping strategies out. One strategy that we are currently working on with both of them is teaching them this simple five senses grounding technique. It's a way to help them be more mindful and regulate their bodies by engaging the five main senses. And since visual aids are key when you're raising an autistic and hyperlexic child, I created this set of free printable coping cards to teach grounding techniques to kids. This one page printable contains six coping cards: one cover image and five cards to cover the five basic senses. Simply print, cut, and laminate. Then hole punch and put on a binder ring so that you can take them on the go. Then any time your child is feeling overwhelmed or anxious, you can encourage them to work their way through all the cards as a way to ground themselves and regulate their bodies. It's a tool to help them be mindful of what is happening right here and right now. To use these cards, simply encourage your child to read through each card, one by one, and follow the written prompts written on the cards. You can also find a poster version of this technique here. To get your copy of the coping cards, simply click the link below. 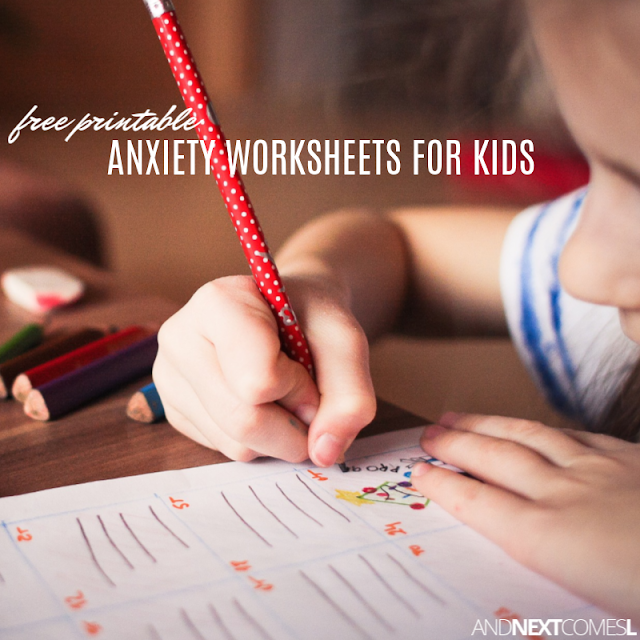 Looking for anxiety worksheets for kids? 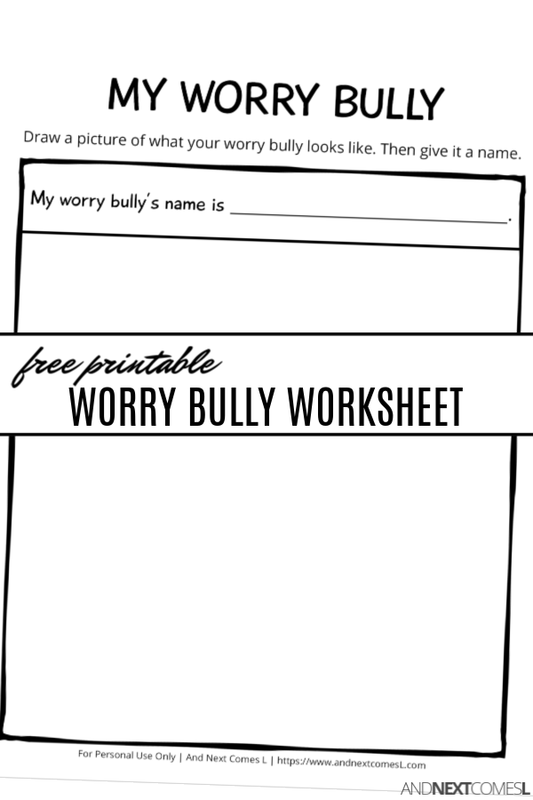 This free printable worry bully worksheet is a great way for kids to draw what their worry looks like. My son has been working on his worries with a psychologist and the latest tool that she introduced him to was the worry bully. And to be honest, I was surprised by how much he enjoyed discussing and responding to his worry bully. Basically, he is learning to recognize his anxiety and anxious thoughts as the worry bully and he can say or do things to make that worry bully go away. 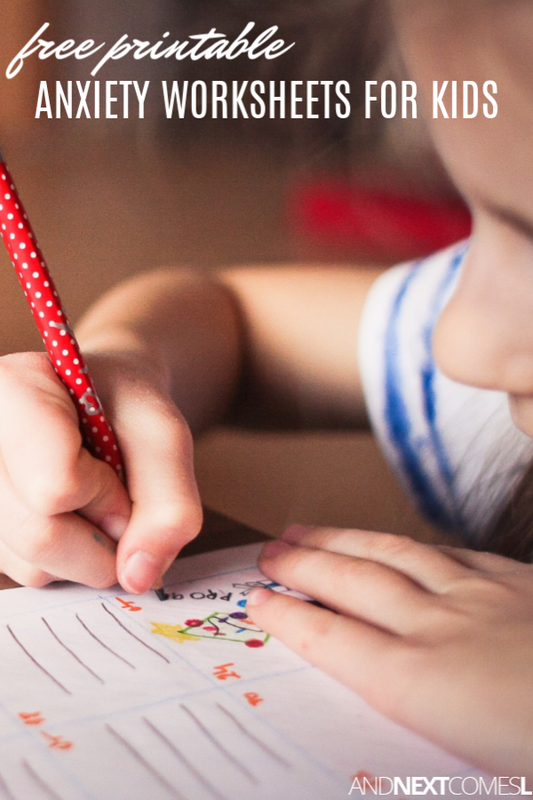 Drawing and naming the worry bully is a great way to make it even easier for him to make the worry bully go away, calming his anxiety in the process. At his last appointment, he drew his worry bully on a whiteboard (which is like the best tool ever for a hyperlexic kid) so we weren't able to bring his drawing of the worry bully home. However, me being me, I put together a place for him to draw out his worry bully so that he can keep it handy. 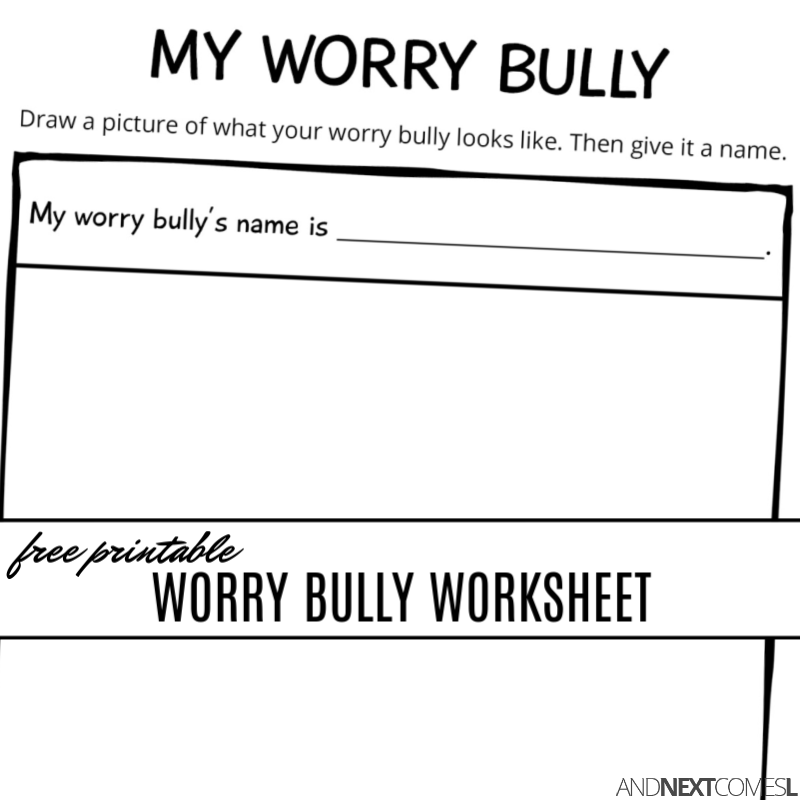 This free printable worry bully anxiety worksheet for kids. 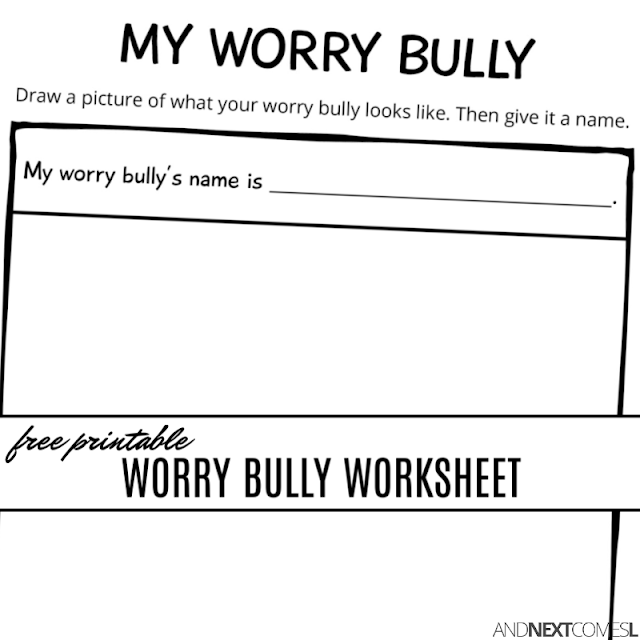 This one page printable allows your child to draw a picture of who or what their worry bully is and give it a name. It's certainly nothing fancy, but it's a great way to visualize the anxious thoughts and worries that are bothering your child so that they can tell that worry bully to go away. Are you looking for fun listening activities for kids? Try one of these simple listening games out. "But, mom, I didn't hear you!" I mean I was guilty of saying that as a kid too! The reality is that some kids need some extra practice when it comes to listening skills. And playing games is a great way to help your child with listening skills. 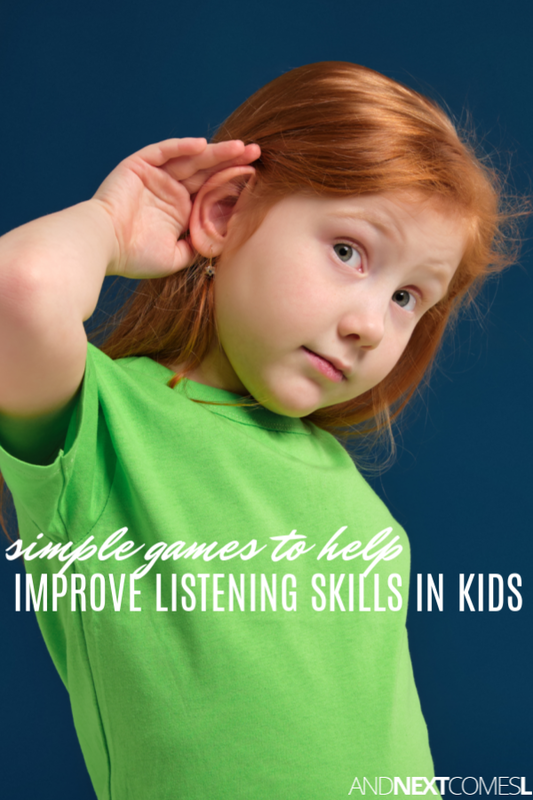 Below, you'll learn about 10 simple and fun listening activities for kids that will help sharpen those listening skills! How Can I Help my Child with Listening Skills? 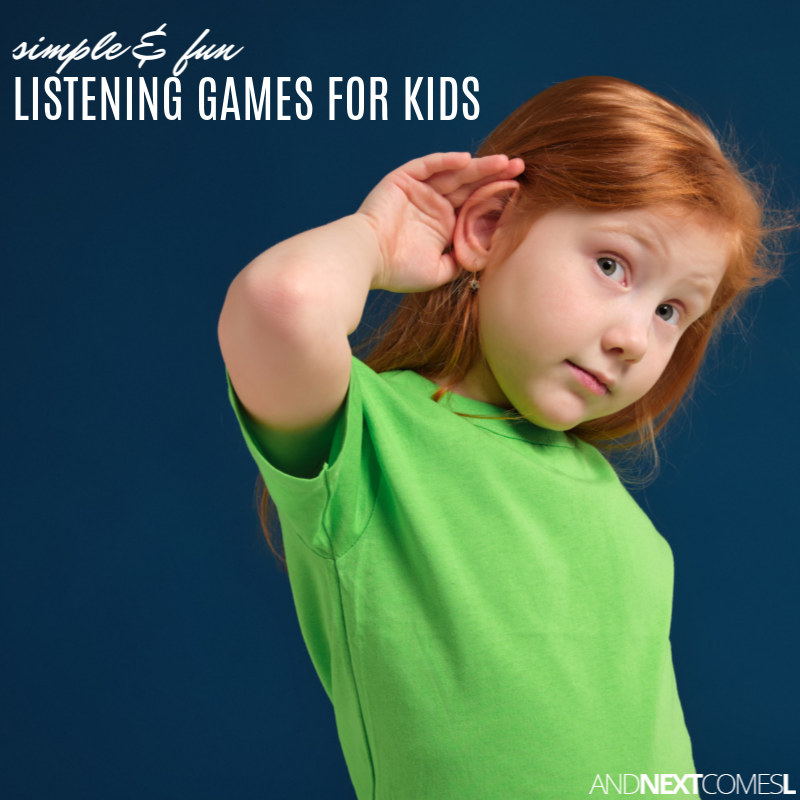 Try One of These Fun Listening Activities for Kids! Simon Says is a great way to work on impulse control and listening skills, obviously. The leader (aka Simon) calls out a movement or action for the others to perform, but the catch is, you should only do the action if the leader says, "Simon says..." first. You probably remember playing a variation of this game as a child and I even noticed my boys playing it last week at swimming listening. Similar to Simon Says, this game is great for working on impulse control. And it's a great way to work on comprehension and following directions too. In this game, the leader will say things like "Raise a hand if you are wearing red" or "Jump into the pool if you like spaghetti." Then you do the action if the statement applies to you. When my son went through his traffic light phase, we played this game a lot. Red means stop and green means go in this light, just like in real life. But you have to always be listening to the leader because if he or she catches you moving after they declare red light, then you have to go back to the start. Need a social story for this listening game? Yup, I've got a social story about playing Red Light, Green Light here. A good way to work on impulse control, Freeze Dance is a classic childhood favorite. Simply turn on some tunes and start dancing, but watch out! If the music stops, then you need to stop your body too. Growing up, my family and I used to play this game on long car rides. Basically, someone names a country, town, city, or place. The next person has to use the last letter of that place to name a new place. So for example, player one might say, "Saskatchewan." The next player then has to think of a place that starts with the letter N.
My younger brother loved geography as a young kid so he always said the most obscure place names, making the game a bit more interesting at times. You don't have to use places. You could just use any words you'll like instead. Someone hides a toy that plays music and then you have to go search for it. A spin on a classic childhood game! Check out how to play musical hide and seek here. Sit in a circle with a group of friends. One person whispers a phrase or sentence into the ear of the person sitting next to them. Then that person whispers what they heard to the next person and so on. The last person then says what they heard out loud. Hopefully the original phrase makes it all the way around, but often, it doesn't! 8. What Time is it, Mr. Wolf? Great for working on counting, What Time is it, Mr. Wolf? is another classic listening game. You have to ask the leader (aka the wolf) what time it is and then take steps towards the wolf depending on what time they say. So if they say 7 o'clock, then you need to take seven steps. Need a social story to help? Here's a social story about how to play What Time is it, Mr. Wolf? We used to play this game a lot on road trips growing up. It's a great way to work on listening skills, memory recall, and turn taking. To play this game, one person starts the game by saying, "I'm going on a camping trip and I'm bringing..." then they name an object that starts with A. The next person then says, "I'm going on a camping trip and I'm bringing (whatever the A object was) and..." and then they name an object that starts with B. You keep taking turns, working your way through the alphabet until someone messes up the order or forgets any of the objects. Super fun, but also challenging. Fill containers up with objects and then try to match the pairs that sound the same. This game requires good concentration skills as you have to listening carefully and rely purely on the sounds you hear. You can learn more about this game here.